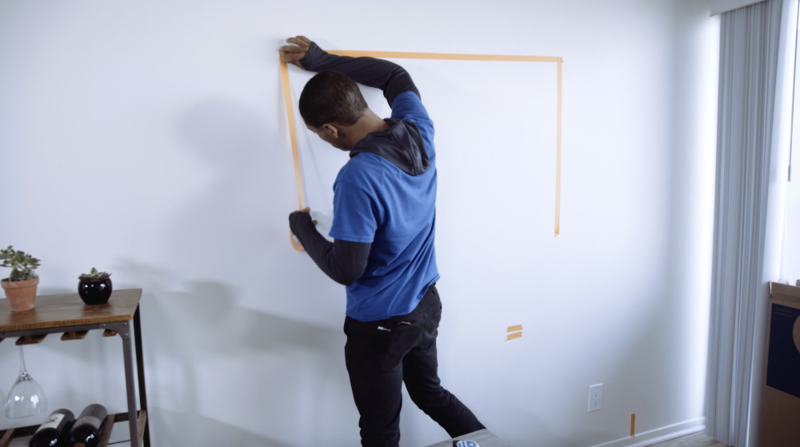 We’re all familiar with the old saying, “What goes up must come down,” but when it comes to mounting a TV to your wall, you want to make sure that your expensive new set doesn’t come down until you want it to. The thing is, determining which size of TV mount to purchase can be a little tricky. Follow our simple guide to selecting the right TV mount size, though, and you’ll see that finding the best TV bracket size for your set isn’t as complicated as it seems. There are two important things to know when deciding which TV mount to buy. One is that pretty much any mount will fit on any television, regardless of the TV mount size ratio. That’s because the Video Electronics Standards Association (VESA) created a standard format for all TV mounts, and most companies conform to it. So, in effect, you can technically affix a 50” mount to a 60” TV. The second thing is that many brands advertise their brackets as being able to support a certain TV screen size. While this can be helpful in coming up with an educated guess about which TV bracket you want to go with, it’s important to remember that in these days of OLED TVs and other ultra-thin technology, screen size doesn’t necessarily correspond with actual weight – and that’s what it really all comes down to. There are a few different types of mounts out there, and you want to choose one that will give you the best viewing angle while still fitting in the space you have available. There are fixed mounts, which keep the TV fixed against the wall and do not allow for any flexibility in the viewing angle. These are the most affordable. Then you have the tilting TV mounts, which make it easy to tilt the TV up or down. 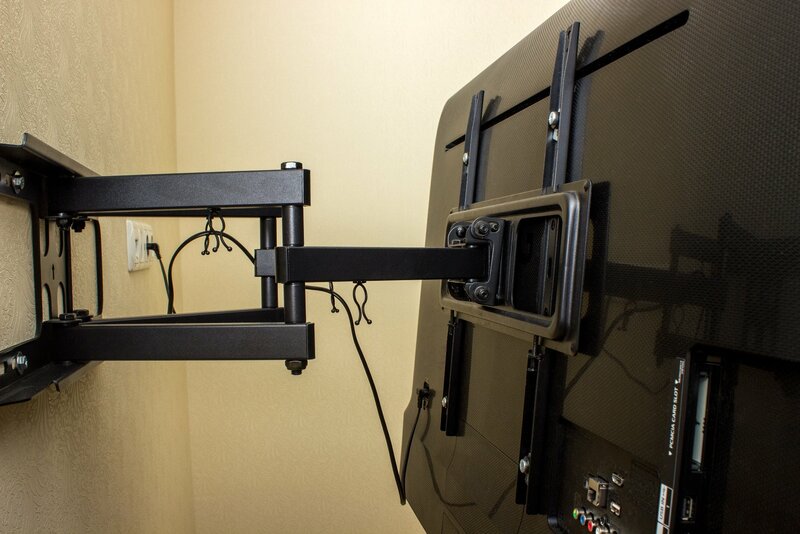 Next, you have the swivel or full motion TV mounts that allow you to move the TV up, down, or side-to-side. With these, you can really view it at any angle you like. Finally, there are specific corner TV mounts for the rare cases when you plan to put your TV in the corner of the room. Pick whichever TV mount fits your style, and your room. This means that the key element when selecting your TV mount size isn’t the screen size advertised, but the weight that the company says a mount is suited for. This information is often readily available on a website’s product description, or can be found on the side of the box. In fact, in some cases, it might be best to choose a different sized TV mount than what’s recommended for your screen size – if it can hold a greater amount of weight. After all, a 50” wall mount that can support 50 pounds might be better suited to your needs than a 60” wall mount that can only support 40 pounds. Make sure to check how much your television weighs, and select a wall mount that can hold a bit more than that. 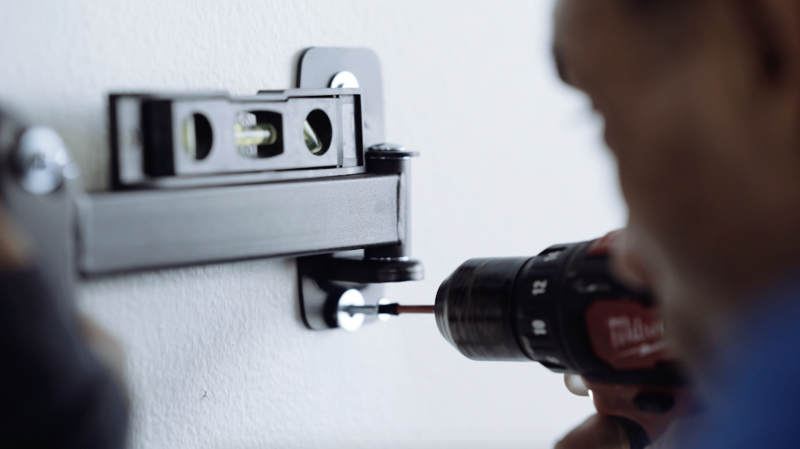 This will ensure that your TV wall mount doesn’t weaken over time. Where the advertised screen size that a bracket can hold does come in handy is when determining how much space you have along your wall. This can prevent you from trying to cram too large of a TV into too small of a space. It may be tempting to try and rely on features like a full-motion mount’s extending capabilities, but when it comes down to it, the best thing is to not bite off more than you can chew. Check out our post on what size TV to buy for a great guide on what size screen is best for your room setup, and the ideal screen size of different kinds of TVs for your viewing distance. 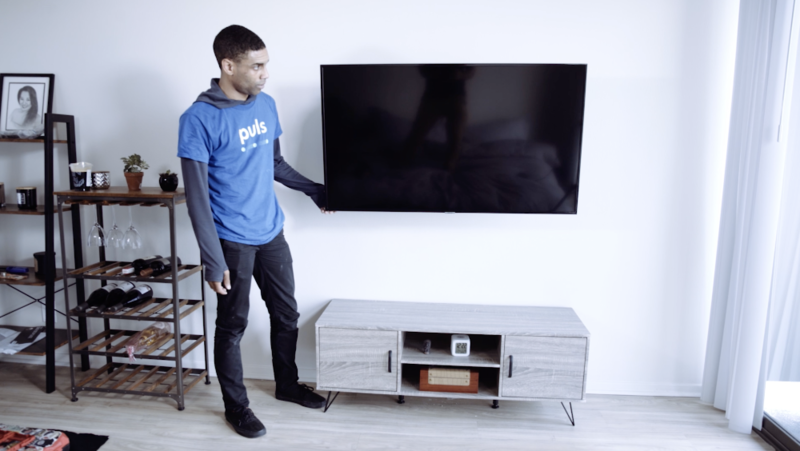 Regardless of which TV mount size you go with or what your wall is made of, Puls can take care of your TV mounting needs to make things as convenient for you as possible. We can also help mask unsightly cables, set up your sound system, and even program your remote, to boot. Booking a Puls technician is super easy. 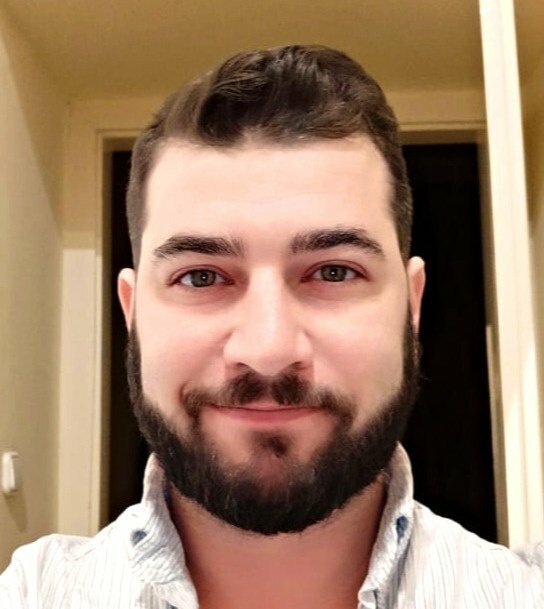 Simply hop online, select the services and time slot that are best for you, and a Puls technician will show up at your door – often on the very same day. 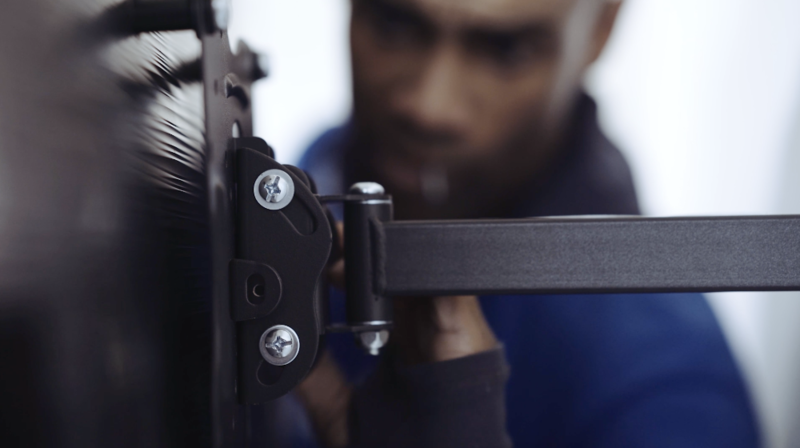 Your Puls technician can not only help you select the right mount size, they’ll also provide the mount of your choice for you. We’ll bring your choice of bracket (fixed, tilt or full-motion) to you as part of your appointment, to make things as easy and seamless as possible. So, what are you waiting for? Book your Puls TV mounting service today.